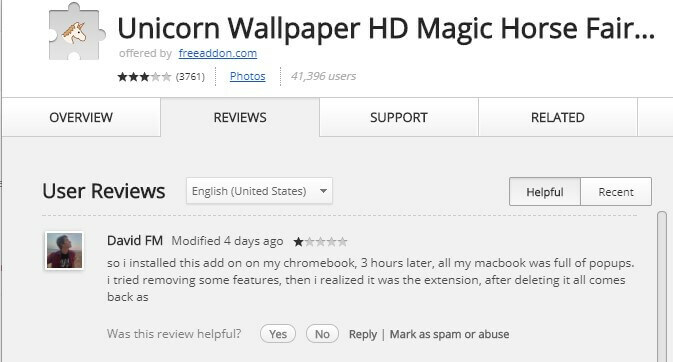 Warning: Fake one-star Reviews & Ratings are bombarding FreeAddon extensions! 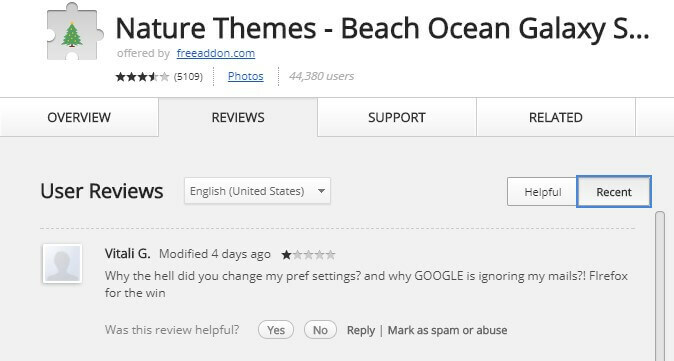 UPDATED ON MAY 2ND, 2018: Google are currently trying to deal with this Fake 1-Star Reviews and Ratings situation. 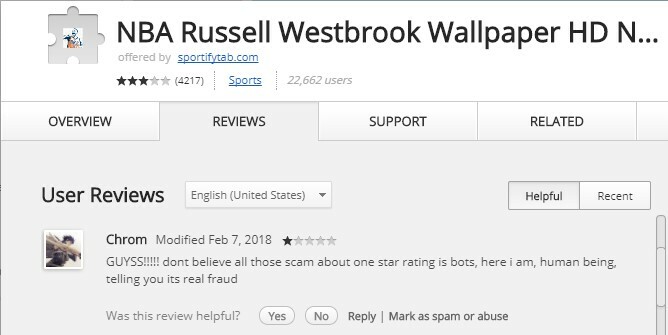 Currently, all of FreeAddon & SportifyTab extensions have been bombarded by hackers with fake 1-star reviews & ratings. If you have seen 1-star ratings and reviews like: “it’s a virus software“; “the quality is really terrible and the pics are all the same, plus, its a virus code“; “they are stealing your data and details“; “MALICIOUS CODE – THEY TRACK ME ONLINE!“; etc…Do not believe them, they are all fake! 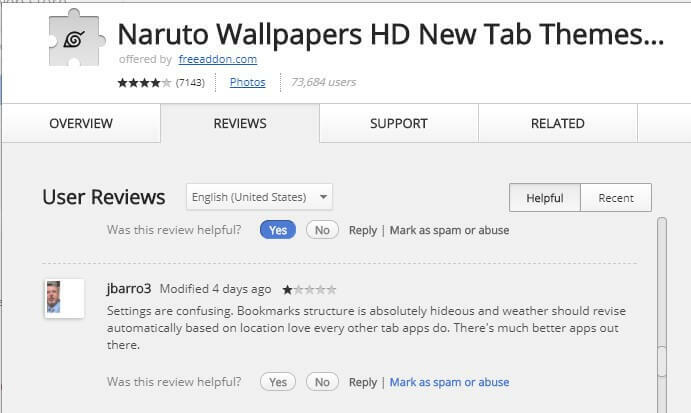 Our extensions have no viruses whatsoever and the hacker does not infect viruses into any Freeaddon’s extensions but they just use fake ratings & reviews to let new users coming to us and misjudging our hardwork. 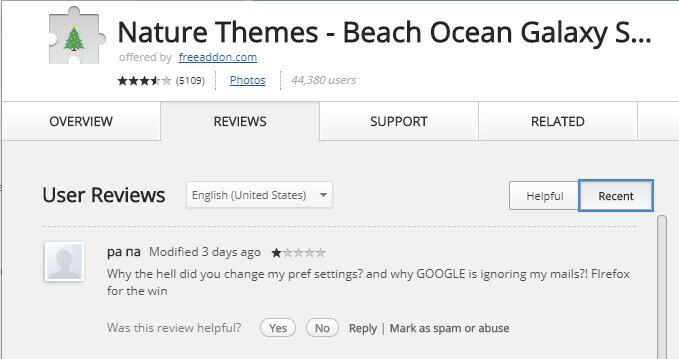 If you love our extensions, please support us by rating & giving your honest review that’s there’s nothing wrong with Freeaddon’s extensions to inform others. These reviews are extremely unusual because they are so similar in words by words. A real review is commonly unique. However, these reviews strikingly resemble to each other with only small tweaks. Therefore, we think the hacker team use the same content and spin the text a little bit; they use fake Google+ accounts to post in mass for all of our 400+ newtab extensions. 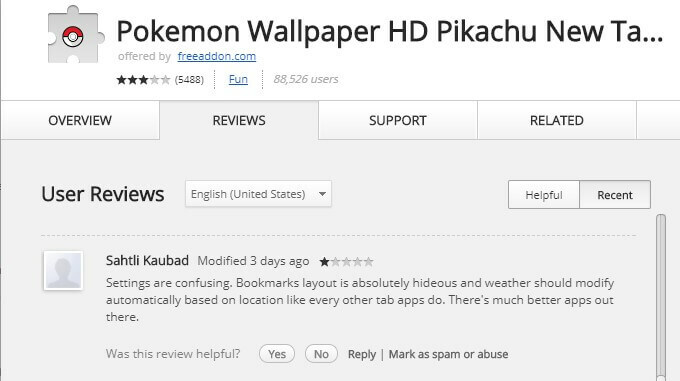 Another example is a brand new extension of Freeaddon having no user, but somehow it got 89 1-star ratings & many 1-star reviews. 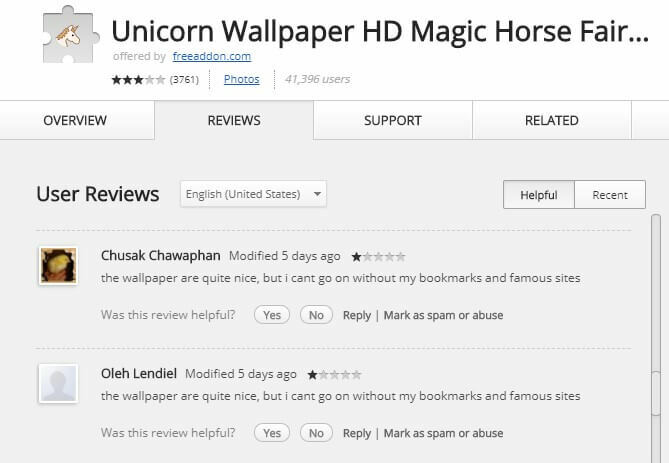 Again, this is extremely unusual since how can an extension get so many 1-star reviews and ratings while it has no user? No user yet 89 ratings… HOW? The extension had an average rating point of 4.7 from total of 1413 ratings before it was attacked on November 25th, 2017. It has total of 118 real reviews with most positive comments and 5-stars ratings. 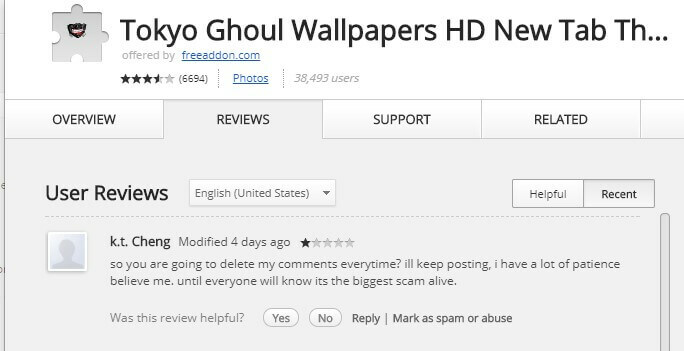 If you are long-time fan of Freeaddon’s, you know that there’s nothing wrong or viruses in all Freeaddon’s extensions. – Look at the following example, you will see how the Attacker able to manipulate Chrome Web Store results and get to Rank 1. FreeAddon is the result from a lot of hard work and thanks for your support, we have managed to come this far. We don’t want to see every inch of our efforts go to waste & become misjudged as “virus/adware/malware” extensions. Many of our extensions’ rating points are only 2-3 stars now whereas they are all have rating point of 4.5-5 before and we are very sad at it. If the Attacker succeeds, they may take advantage of their Bot-Spam system to attack any other Chrome Web Store developer & create unlimited malicious extensions. Please help us to fight against these Spammers and prevent this from happening! 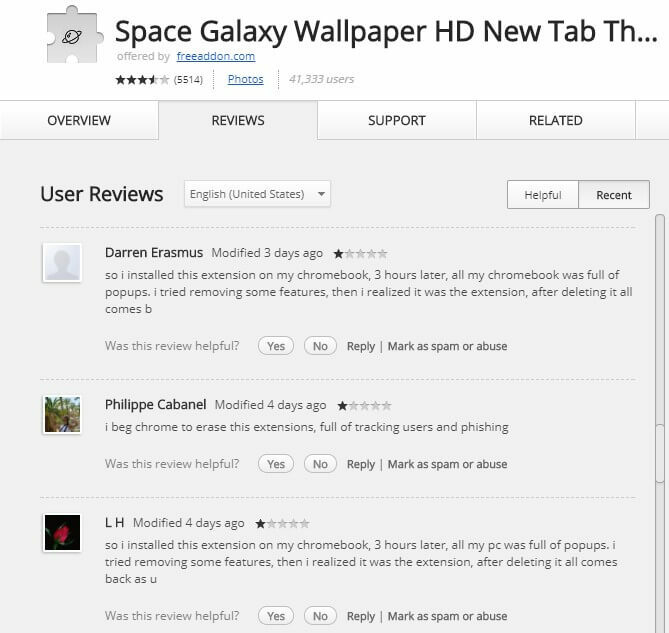 Click “Rate” button in your new tab to give ratings in Chrome Webstore. 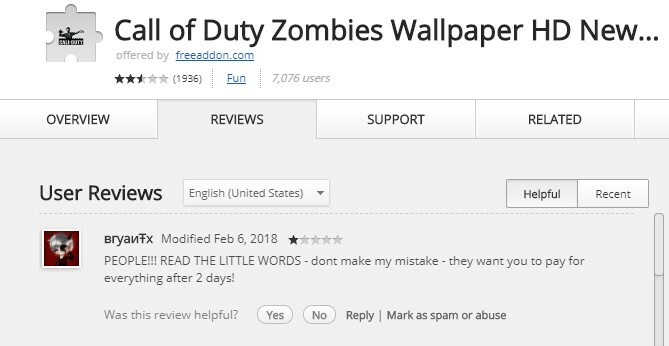 Give review to spread the words about these fake reviews and ratings to let other users aware of the situation and stay cautious towards these suspicious reviews. 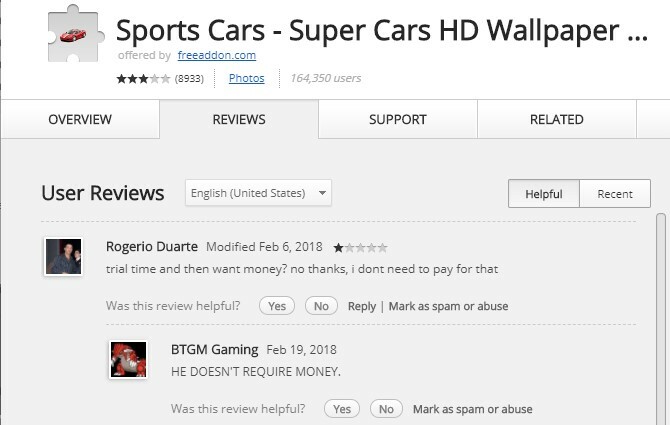 If possible, you can click “No” in the question “Was this review helpful?” for 1-star reviews & reply to inform others. Thank you for taking time reading this. We personally thank users like Lynne Stoddard, Colin Healey, Don- Na & many more who have given a lot of reviews & replies in the past few days to let other users understand the situation! We haven’t found its duplicate (yet), but since when we charge users after 2 days? Thanks BTGM Gaming for the justification! 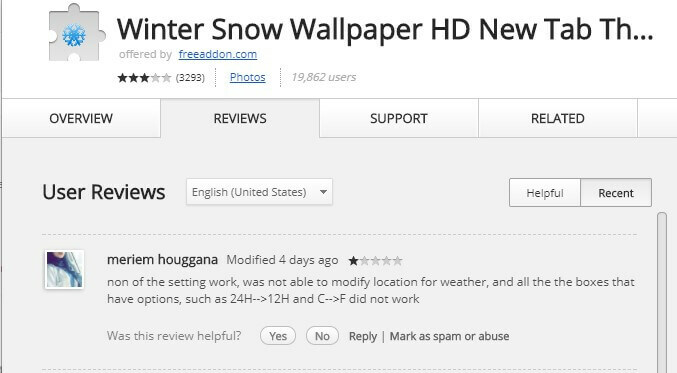 UPDATED ON MAY 2ND, 2018: Google are currently trying to deal with this Fake 1-Star Reviews and Ratings situation. 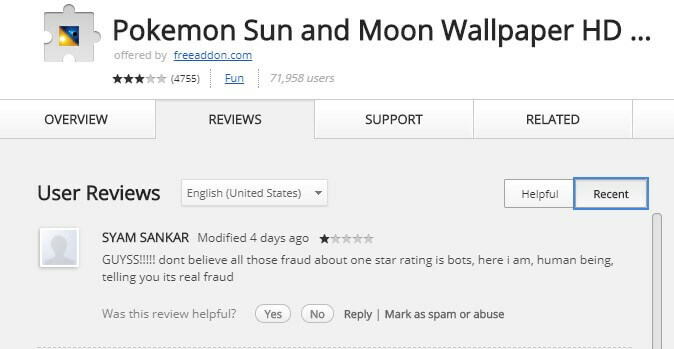 However, the hacker team is still using Bots to give Fake 1-Star Reviews and Ratings to ours and many other developers’ extensions. 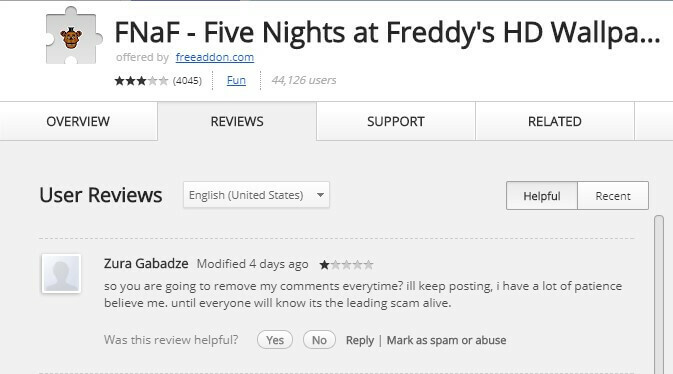 If you find out any evidence about these Fake 1-Star Reviews and Ratings, please inform us via the form below. Thank you for your support within the past few months. Send us any evidence you have about the Fake Accounts spam, suspicious Extensions, and the hacker team!